Mr. Davis asks Martha Berry for the name of her treasurer so that he may be exempted from the tax on his donation. 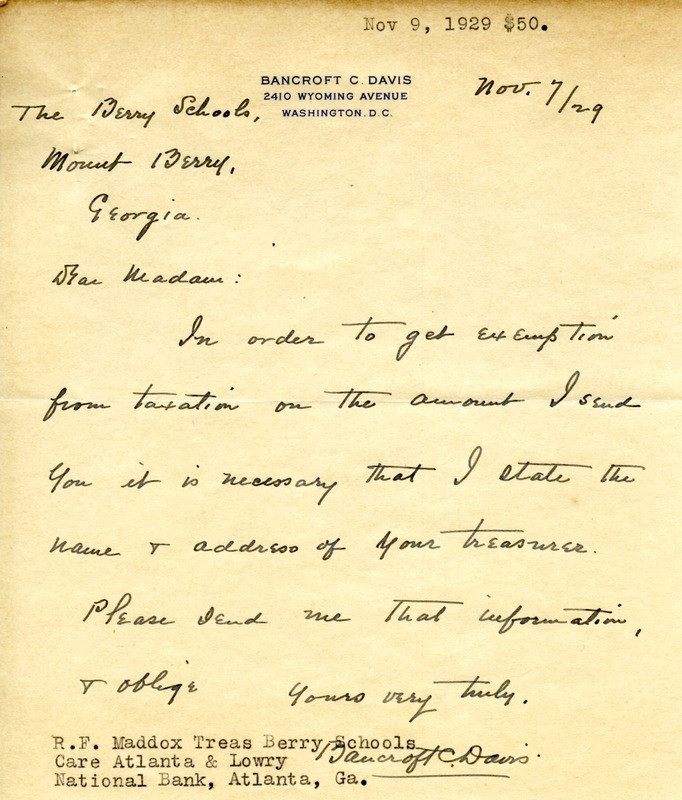 Bancroft C. Davis, “Letter to Martha Berry from Bancroft C. Davis.” Martha Berry Digital Archive. Eds. Schlitz, Stephanie A., et al. Mount Berry: Berry College, 2012. accessed April 20, 2019, https://mbda.berry.edu/items/show/9893.